M. J. Arlidge’s DI Helen Grace series is one of my most-recommended for new crime fiction readers. His books are consistently fast-paced, engaging, and not too graphic while remaining suspenseful. Each previous book in the series (EENY MEENY, POP GOES THE WEASEL, and THE DOLL’S HOUSE) has improved upon its predecessor. Sadly, I didn’t feel the same way about the series' fourth installment, LIAR LIAR. I still enjoyed this book, but it felt like a bit of a step back from the momentum Arlidge had been building. LIAR LIAR finds DI Helen Grace faced with a new kind of challenge: a serial arsonist is terrorizing the city, seemingly intent on burning it to the ground. This arsonist shows no pity, targeting suburban homes in the dead of night while their residents are fast asleep inside. With ever-present bureaucratic roadblocks standing in her way, Helen finds herself in a race against time to identify the arsonist and stop him from condemning more innocent lives to his fiery infernos. While this story certainly shares the fast-paced quality of its predecessors, I found it lacking in the entertainment value that has previously been such a consistent hallmark of Arlidge’s writing. Perhaps the plot itself just wasn’t right for me – admittedly, I’m just not that interested in reading about serial arson. All personal preferences aside, LIAR LIAR undeniably lacks my favorite angle of the DI Helen Grace books: an exploration of Helen’s character development. 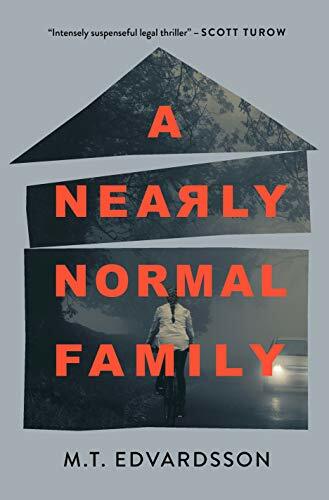 In the previous three Helen Grace books, our leading lady is constantly uncovering new threads to her past, grappling with past and present traumas, and using her superb deductive skills to impressive and entertaining effect. In LIAR LIAR, Helen felt like a fairly stagnant character. The challenges she faced were predictable, and our understanding of her character is hardly expanded. This was a huge disappointment for me, as I always loved the twists and turns of Helen’s personal story. Of course, LIAR LIAR does have plot twists of its own. I certainly never saw the ending coming, and the story did have enough momentum to keep me reading. Its saving grace is the fast-paced quality of Arlidge's writing - it kept me turning pages, even while I wasn't loving the story. Unfortunately, I didn't have the emotional investment in the story's central case or its characters to feel true shock over the mystery's final reveal. As a whole, the story felt repetitive and the final reveal unrealistic. Overall, I’m thoroughly torn between my love for this series and my disappointment in this book. It was by no means a terrible read, but if I had picked this book up as my first M. J. Arlidge title, I’m not sure I would have cared to read the rest of the series. I have my fingers crossed that the series’ next installment, LITTLE BOY BLUE (out this fall), will get back on track. Are you new to M. J. Arlidge's DI Helen Grace series? I am an employee of Penguin Random House. All opinions my own.